Charles Carroll of Carrollton (1737-1832), American Patriot, born in Annapolis, Maryland, studied law abroad and returned to his home state in 1764 as an accomplished scholar. He added "of Carrollton" to his signature to separate himself from the other Charleses in his sprawling family – including his father, Charles Carroll of Annapolis. In 1775 he was elected to the Continental Congress, and the following year he was the only Roman Catholic to sign the Declaration of Independence. As a Roman Catholic, he was barred from entering politics, practicing law, and voting. It is reputed that the First Amendment to the Constitution was written in appreciation for his financial support during the Revolutionary War by his peers, discerning his contributions in such stark contrast to the denial of civic rights due to his Catholicism. Of all the signers he risked the most. He was the wealthiest man in the colonies at the beginning of the Revolution, his wealth being estimated at $2,000,000. He served in the Continental Congress, on the Board of War, through much of the War of Independence, and simultaneously participated in the framing of a constitution for Maryland and forming a state government. Carroll eventually became a state senator in 1781, and when the United States government was created, the Maryland legislature elected him a U.S. Senator from Maryland to the first Federal Congress in 1788. 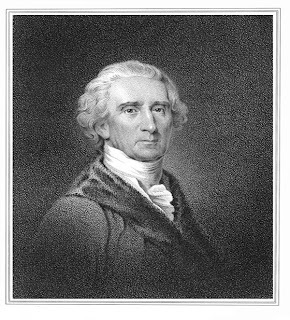 Carroll returned to the Maryland Senate in 1790, where he served until retiring from politics in 1800. His last public act was the laying of the cornerstone of the Baltimore and Ohio railroad on the 4th of July, 1828. After the death of Adams and Jefferson on the 4th of July 1826, he was the only surviving Signer of the Declaration of Independence. Charles Carroll funded the building of what is known today as Homewood House, a 140 acre estate in northern Baltimore, Maryland as a wedding gift to this son, Charles Jr. and Harriet Chew. Charles Jr. then oversaw the design and construction of the house, which was constructed from 1801 to 1808 at a cost of $40,000, four times the budged expense. Homewood was donated to Johns Hopkins University in 1876 and later became its main campus. Today, Johns Hopkins operates Homewood House as a museum, and its Georgian architecture serves as the inspiration for the Hopkins’ architecture. In 1832, still regarded as the richest man in the country, Charles Carroll died at the age of ninety-five and was buried at Doughoregan Manor, his favorite country come near Ellicott City, Maryland. He was buried in the family chapel attached to the north end of the mansion. The Georgian brick plantation house, built about 1727, was greatly enlarged and remodeled in the Greek Revival style in the 1830s by the signer's grandson, Charles Carroll V.
I was named for Charles Carroll (my whole name is Charles Carroll Carr) always disavowed the Carroll growing up, for obvious reasons. One of my favorite parts of NYC.